March madness is upon us. Whether it be with college basketball, Spring Break, kids spring sports starting or digging out of the winters last snow storms, it’s here. For me that means going back to some tried and true recipes. It also means more hands off cooking and more minute meals. So this month’s menu plan you’ll see some past recipes and some new fast and easy ones. Don’t forget coming up on Sunday March 7th is the Oscars. Last week we shared some ideas on what to serve while watching the show with our Gluten Free Progressive OSCAR Dinner Party. Check out all of the great recipes shared. Other celebrations this month include St. Patrick’s Day on the 17th, first day of Spring on the 20th and Passover begins March 29th. 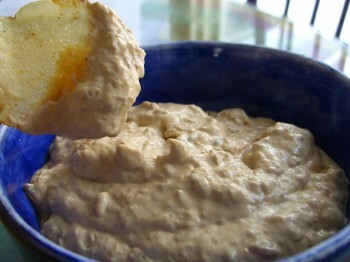 Also, if you want the recipe for the Best Ever French Onion Dip, it is part of the February Newsletter. All newsletters will be archived under our News page. If you signed up for the newsletter after that edition went out, you will need to visit the News to view the February edition. You will receive March’s newsletter directly. If you have not signed up yet, what are you waiting for? Have a great month and as always, share with us your experiences with making any of these recipes. Love to hear from you! Don’t forget OrgJunkie has more menus. Oh, that French Onion Dip looks so good! Anything French onion has my name on it. 😉 And, I can always count on you, Diane, to remind me which sports season it is. Shirley- Well I am a bit of a sports nut. I guess that's from growing up with much older brothers. So yep, I'll always share what's going on in the sports world, especially when it's football. You never cease to amaze me with your month-long menu plan. I am usually pretty good at planning week-by-week, but month-long? I’m just not that organized. 🙂 Great job. Buffalo shrimp sounds good about now, I think I’d fast-forward to that meal! Please forgive me if I'm missing something, but how do I find the recipes for the menu items with no hyperlink? I tried searching and couldn't find it either (e.g. West African Peanut Soup). Thanks for enlightening me! Mary- Welcome! So glad you're finding things that work for you. You're doing everything right because there is no link for the West African Peanut Soup yet. Look for it tomorrow!